Galleries abound in the creative atmosphere of The Square. Stroll through the studios of some of Lexington’s most versatile and talented artists. Gallery Hop, a downtown tradition, includes the works and studios in The Square. Artists’ Attic, a public studio where shoppers can watch Kentucky artisans creating their masterpieces, is especially popular. Browse the galleries and purchase original works by resident or visiting artists. Hours and showings vary, so call ahead for more information: 859 254-5501. A group of artist studios and a gallery with a featured exhibit in the main gallery. Kentucky’s only children’s museum with a mission to create a fun and dynamic hands-on learning environment that inspires imagination and curiosity. 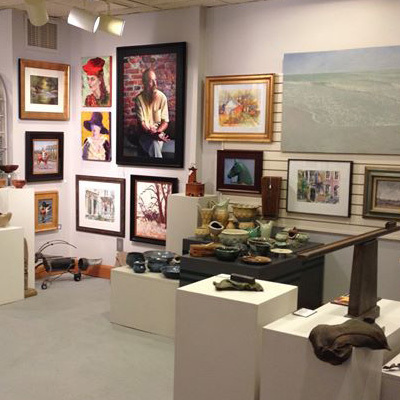 Plymale Gallery specializes in commissioned portraits, restorations and art classes.